After an excellent opening week, Tollywood superstar Allu Arjun’s latest offering Duvvada Jagannadham still getting good response at box office from audience across Telugu states as well as overseas. This action comedy film hit theaters with huge buzz and as expected received positive reviews from everyone. Audience liked Duvvada Jagannadham much and showed big thumbs up for it. From critics also, it has received positive reviews and gained good word of mouth. Despite being released opposite to superstar Salman Khan’s highly awaited Tubelight, it remained unaffected and passed the opening week on an excellent note. 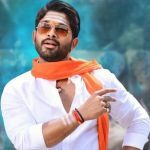 With enormous initial buzz, Harish Shankar’s directorial registered the highest ever opening of Allu Arjun’s career and did the business of 35.35 crores in the first weekend, that included 18.40 crores of Friday, 8.05 crores of Saturday and 8.90 crores of Sunday from around 1000 screens across Andhra Pradesh and Telangana. Then in weekdays, it remained steady and managed to collect the amount of 6 crores on Monday, 4.75 crores on Tuesday, 4.25 crores on Wednesday and 3.90 crores on Thursday. After a week, total collection of Duvvada Jagannadham was recorded as 54.25 crores at AP/T box office. Now this Allu Arjun and Pooja Hegde starrer has been entered in the second week and once again enjoyed the weekend. Keeping good hold over the audience, the movie minted the amount of 3.10 crores on it’s second Friday and 3.25 crores on Saturday. On second Sunday, Duvvada Jagannadham reported slight more growth and fetched the business of 3.40 crores. With this, total 10 days collection of the movie has become 64 crores from Telugu states alone. At worldwide box office, it has grossed over 120 crores with second weekend.